Easter is a festive colorful holiday. 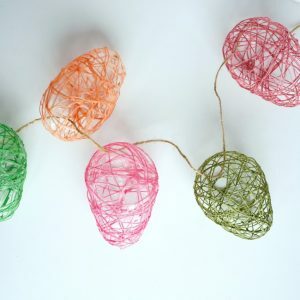 Decorate your house, buffet table or kids room with these easy to make Easter egg string lights. Watch how easy these are to make, then read on for a full supply list and more details. I have collected a good share of plastic Easter eggs since my kids have been born. 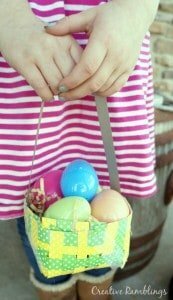 I fill them up for the various egg hunts they participate in then bring them back home and pack them away for next year. This year when I pulled out my Easter bin I decided I needed to do something special with a few of these eggs. Use appropriate protection and follow all operating instructions when using any power tools. I started by placing the top of my egg on a block of wood. Holding it in place with my hand I drilled a hole into the center. The block of wood keeps the drill from damaging the work surface below. 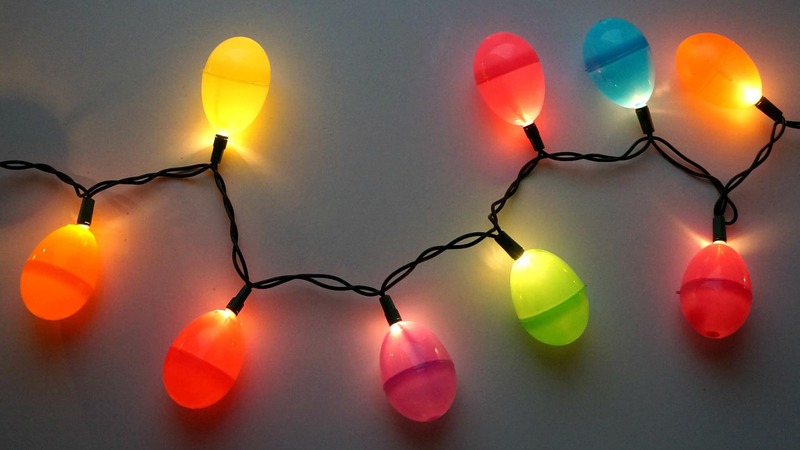 That’s about it, just drill holes into the eggs, enough to fill your string lights, then pop the eggs onto the lights. I used a drill bit that is the same size as the light bulb. The eggs fit snugly and I didn’t need to use anything else to secure them. This means I can take the eggs off the lights after Easter and pack the items away separately to use another time. 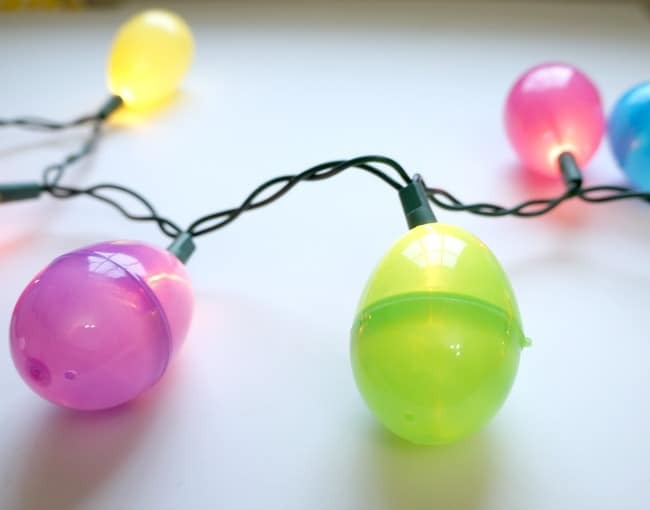 String these Easter egg string lights above your Easter buffet table, or put them up on your mantle this month. This is an easy fun project using items you are sure to have around your house. 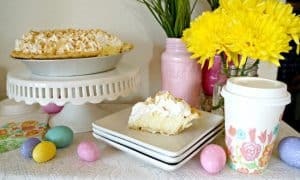 Check out more Easter projects below. What a great idea. Seems those plastic Easter eggs multiply faster than bunnies (get it, Easter humor!) I remember when my kids were younger the number of eggs we had would exponentially increase from year to year. Bravo to you for finding a good use for those extra eggs! A very cute idea. Yes they just seem to multiply! Thanks for your sweet comments Lynn. But how the heck are you supposed to drill a hole in those eggs without breaking them? Good question, it actually worked just fine. I used light pressure and put the egg on a hard surface. I love this idea but my only concern and question is (which is probably dumb 🤷🏽‍♀️) how does the plastic Easter egg hold up to the light (plastic, light, melt) watts aren’t probably high enough to cause such thing but one of my biggest fears is fire..
Hi Carmen, I had that fear too. The first time I made these I used regular old lights and they did get a bit warm, but I never kept them on long enough to cause a problem. The second time I made them, I used LED lights which are cool to the touch, I would definitely recommend those. Thanks for stopping by and reading!